Some thoughts on Faith, Culture, and Art. One can find (at least) three strands of creational theological reading these days. First, there are those who write with a scientific perspective, seeking to see the overlaps of biblical creation and current scientific findings (William P. Brown, for example). Second, there are those who write from an agrarian perspective (Wendell Berry, Norman Wirzba, etc.). Finally, there are those who write from a functional perspective. Walton writes as a pioneer in this third category. The main thrust of his thesis, in fact, is that this is the way to read Genesis. He lays this thesis out at length in his previous book “The Lost World of Genesis One” (reviewed here). In the current book he spends the first five chapters rehashing much of the content of his work on Genesis 1. His new material begins to develop in the sixth chapter. 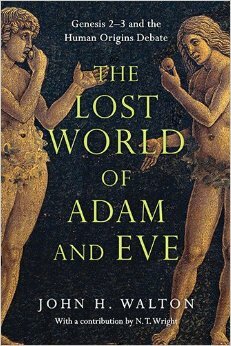 His writing on a proper understanding of Adam and Eve is very compelling and draws in particular from the comparisons and contrasts from other ancient creation documents that have become available to us in recent years. This sheds new light on the text and is changing the discussion. My one concern, particularly in the earlier chapters, is the lack of integration with other important readings (agrarian in particular), stating things like, “the caring for sacred space should be seen as much more than landscaping or even priestly duties” (107). But he does come around saying, “Having said all that, once having identified the primary role as a priestly one in a sacred space, we may find that we can fold other care taking tasks back into the priestly profile. When garden-parks are associated with sacred space in the ancient world, caring for the trees in the park is a sacred task performed by priests” (107). I appreciate the application here, and in his conclusion, to creation care. An agrarian reading that flows out of an functional ontology makes a lot of sense. Chapters 13 – 19 are incredible. Here Walton begins to delve into the gospel implications of his hermeneutic and it is stunning. N. T. Wright’s excursive (chapter 19) was well integrated and brought Walton’s work together beautifully. I find his categories of “order,” “non-order,” and “disorder” very helpful. I highly recommend this work. Walton’s writing is very accessible in it’s literary style, and very pastoral while dealing with controversial topics. Five stars. The 1st post in a series of 5 about the difference between Hebrew and Greek (and our) thought.